Goats, which are the only hope for Bundelkhand’s drought-stricken small farmers, are under threat. 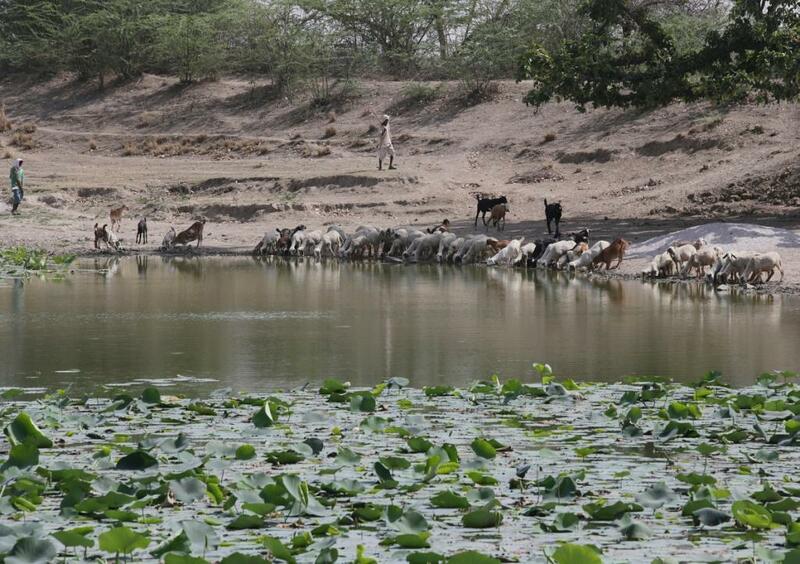 In the region’s worst drought-affected district, Mahoba, hundreds of goats have been dying due to a mysterious disease that is causing huge economic losses for the poor. “I have lost 159 goats in the last three months. Now, I am left with just nine goats and a buffalo and a cow. 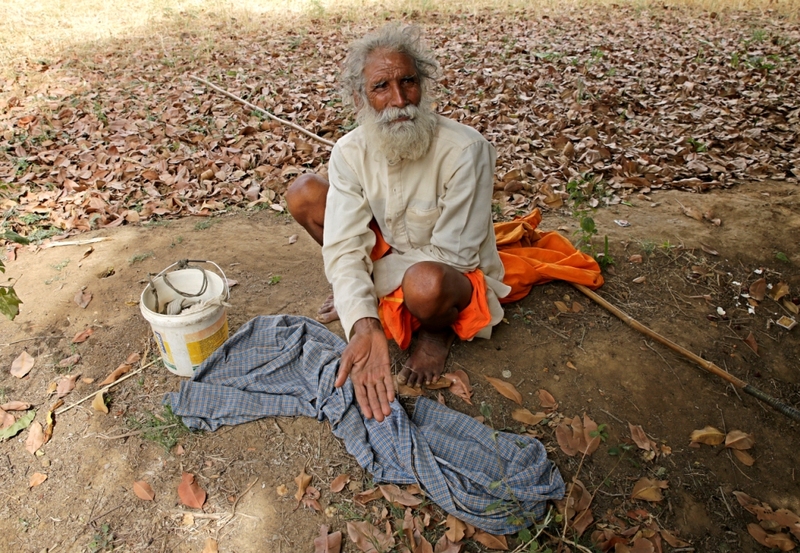 I don’t know what will be my future and that of my livestock,” says 75-year-old Bhawani Deen Yadav, a drought-stricken small farmer from Karhara village of Mahoba district, who took up goat rearing after four continuous failures of 2-acre crops. Yadav noticed that his goats were getting infected in the mouth and developing running noses. The symptoms made them stop eating for a few days. They, then, developed dysentery and died. Yadav has two sons, both of whom have migrated to cities. He and his often-ill wife live alone. He is now contemplating selling his remaining livestock before it dies. “I am thinking of selling off my livestock to take care of my wife. Right now, goats are the only security of my old age,” says Yadav sitting on the bank of a dried rivulet, the Chandrawal. Yadav and other livestock owners say that local government veterinary doctors were clueless about the mysterious disease affecting their goats. “We have spent a lot on veterinary services to treat our goats. But none could be revived even after ingesting costly medicines,” says another farmer, Suresh Pal, of Raipur Khurla village who lost all five of his goats. “The doctor’s fee was quite high and the medicines were expensive. And despite them, none of my goats could be saved. Hence, I have decided not to follow the doctor’s prescriptions,” says Sonari Devi of Supa village. According to villagers, Supa had the highest number of causalities. Meanwhile, the Chief Veterinary Official (CVO) of Mahoba district is unaware of any such developments. Sadique Ansari, CVO, Mahoba, says that there were no such cases reported so far. “It could possibly be Foot-and-Mouth disease. We vaccinated 1.80 lakh goats last year in Mahoba district. Possibly, some areas have been left out and are yet to be covered. I will check out with local officials to confirm which disease is infecting goats,” says Ansari. But when spoken to, villagers deny the CVO’s statements. “The doctors charge us heavily. They never visit the village to vaccinate animals or provide free medicine,” says Suresh Pal. The disease which infected the goats has not yet been identified. According to another veterinarian of the district, Gyan S Rajput, the disease could be Contagious Caprine Pleuro Pneumonia (CCPP), which affects goats. “Mahoba has no medicine for this disease. I have gone through some cases and recommended medicines, which were not available in the district,” he says. Ansari agrees that there is no availability of medicine for the treatment of CCPP in Mahoba. “There is a remote chance of CCPP being present in our district. In case of its presence, we will arrange medicines for it,” he says.